Ahmedabad:Gujarat government would be organising ‘Vibrant Gujarat Start-Up Summit’, a first of its kind event dedicated to the start-ups, on October 21 and 22 at Mahatma Mandir in Gandhinagar here, a senior official said. It would be in the run-up to the Vibrant Gujarat Global Summit to be held in January next year, said Additional Chief Secretary, Industries and Mines, Arvind Agarwal. “To focus more on this sector, we have decided to organise a special summit for start-ups. This summit is for everyone who is interested in learning how to build and grow a business from ground up,” said Agarwal at a press conference. It would be organised in association with FICCI and Entrepreneurship Development Institute of India (EDI). The event will see participation of more than 3,500 delegates from across India and across various domains such as incubators, entrepreneurs, innovators, venture capitalists, business model creators, consultants, policy makers, mentors, and academicians. “Delegates will attend around 20 sessions with more than 50 national and international speakers. We have also planned pre-event roadshows in Surat, Vadodara, Mumbai, Hyderabad and Bengaluru,” he added. There are around 100 start-ups in Gujarat, said Agarwal. 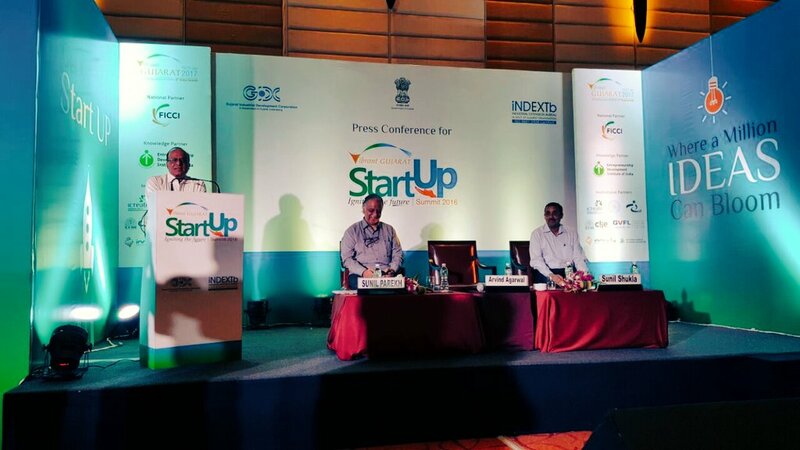 “Last year Gujarat Government announced its policy on start-ups. At present there are around 100 active start-ups in the state which are involved in 47 projects. Under the policy we have disbursed a grant of Rs 2.3 crore to 20 incubators which are supporting these ventures,” he said. “Now, we are all set to foray into the next phase of our policy, that is establishing Start-up Mission. It will function as a society or a trust. It will have several intellectuals who will advice Government about this industry.